Fruit Splash Saga manages to give the classic match-3 gameplay a whole new spin. As in other games of this genre you combine at least three fruits of the same type to make them vanish and prepare a a fruity smoothie for your customers. The more fruits you manage to combine in one move, the higher your scores get and the faster you can serve your customers requests.But unlike any other game your objectives change as you play and every time you play one of the thirty levels, you will get a different experience. 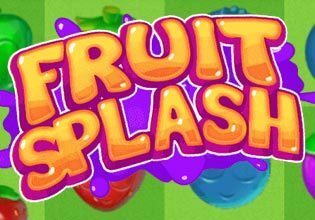 Enjoy this fresh idea and play Fruit Splash Saga now for free!